The Success Model Let us take your business idea to a whole new level! Let’s face it. Starting a business isn’t easy. It requires a complete change in every aspect of your life. In fact, it will become a way of life: a lifestyle. That’s why you need InsideOut Enterprise Success—A program that works with you on your personal and enterprise needs. InsideOut is designed to help you change the personal habits and behaviors you have or no longer need—like procrastination. It will help you highlight your strengths and use them to build new capacity you never knew you could. If you have never started or successfully run a business before, there is much to learn. InsideOut will help you learn and apply important business strategies to your business that will make you successful. Essentially, InsideOut Enterprise Success will help you maximize your potential while at the same time maximize the potential of your dream enterprise. Accelerate your business with Holistic Enterprise Coaching! 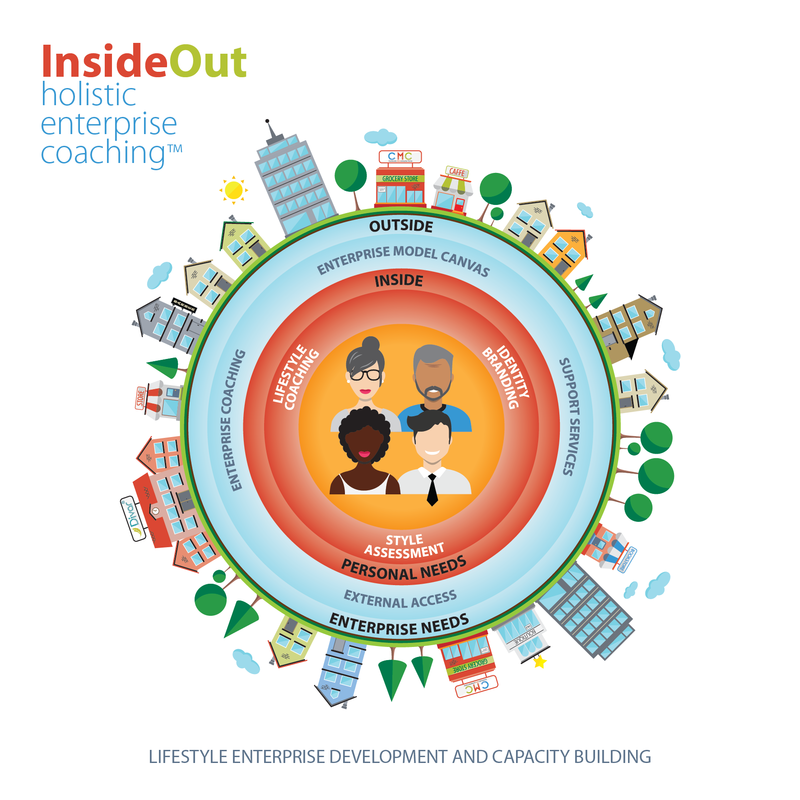 InsideOut is a holistic enterprise-coaching program designed to help entrepreneurs make the necessary life changes that transitions them to running and operating a successful lifestyle business. You’ll learn to maximize your potential and the potential of your enterprise dream. 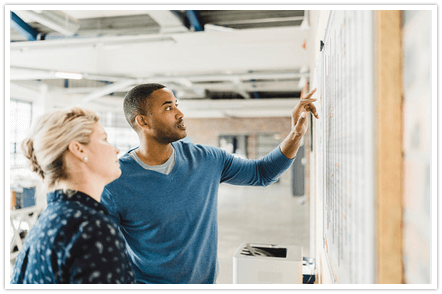 The InsideOut Enterprise Success Model gives entrepreneurs powerful process and support tools to effectively grow their business and unleash the full capacity of their teams. Start achieving desired business results immediately! Style Assessment — Who are you? Who are you in regards to stress, risk, relationships, thinking, and more? Find out so you can build on your strengths and be strategic about building structures to overcome your weaknesses. Lifestyle Coaching—Running a business requires a complete change in your lifestyle. During the program, you will receive Lifestyle coaching to help you make the structural, mental, and spiritual changes you need for your new Lifestyle. Personal Branding—Soon, it will be difficult for you and others to separate you from your enterprise. Now is a good time to develop the branding you want to communicate about you and your enterprise.